with instant coupon at hrblock.com. Regardless if you are a new or returning customer, you can use this coupon to save 20% on your order of Premium & Business 2015 at hrblock.com. With this offer there are no codes to copy and paste – Just follow the above link to activate the sales price of $67.96. Just note that State eFiling filing may cost extra (the fees will depend on the State that you are filing in). 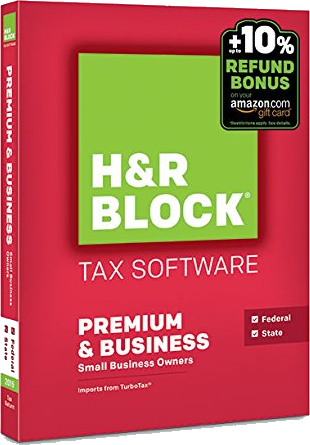 And if you’re in a rush to file your tax return you can choose to download the software directly from hrblock.com so there is no lost time waiting for the box to arrive in the mail. This expires on April 15, 2019. Get an extra 10% back! This has to be one of our favorite deal from H&R Block this year – Get an extra 10% on top of your Federal tax refund when you choose to receive part or all of your refund in the form of a gift card. Similar to the TurboTax/Amazon refund offer from last year, H&R Block has teamed up with dozens of top name brands to offer you a similar deal (up to $900 tacked on!). That includes Amazon, Best Buy, iTunes, Home Depot, Target, Home Depot, and a whole bunch of others. Follow the above link to see how this offer works and how you can qualify. Offer expires April 15th, 2016.
with price match at Best Buy. A number of local resellers will have H&R Block’s software in-stock, especially during the peak buying periods. You’ll find that some stores will have some pretty good deals while others may not have any discounts at all. Fortunately, it doesn’t matter what the sale price that’s to the price matching policy in place at many of the larger retailers. Stores like Target, Best Buy, and Office Depot have written low-price guarantees letting you price match to a competitor that currently has a lower advertised price (in most cases that includes Amazon’s deals as well). Each store is a bit different so we recommend that you come prepared with a deal that you want to beat and take to the store associate for more details. If you’ve already made your purchase then you may also be covered the price difference if you are within the return period. 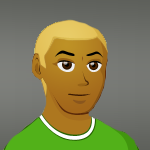 To learn more about popular price matching policies, click on the icon below. If you’re new to completing your own taxes this year and you’re not quite sure if you should choose TurboTax or H&R Block, then take them both for a test drive. You can even try both programs to see if the refund amounts will turn out to be the same. To start the trial, simply go to hrblock.com and create a free user id and account (existing customers can use an existing ID). There is no time limit on the trial but if would let you print out any forms of eFile until you purchase the program. H&R Block 2020 Release Date Alerts! Where can I find an H&R Block location near me? With over 10,000 locations in the United States and Canada, there’s bound to be an office not so far away from where you live. Visit the H&R Block office locator the see what’s open and the services they provide. Some locations are open year-round to service business and many offices also have Spanish language support.